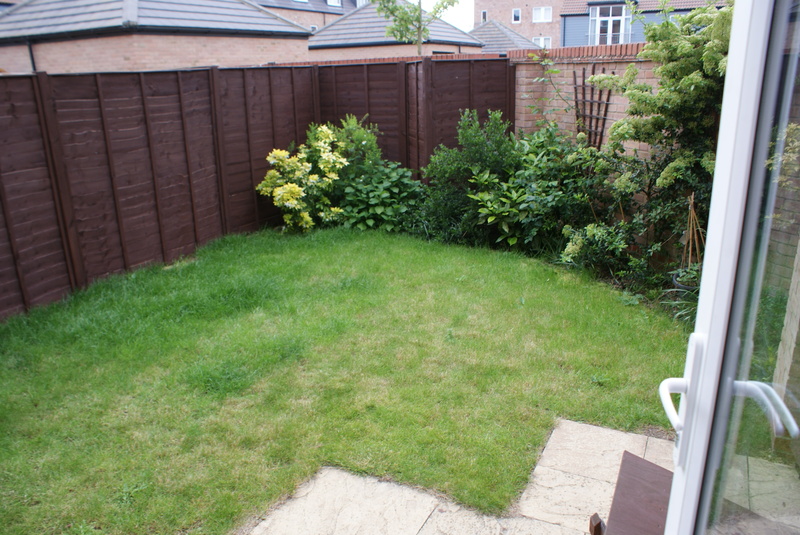 This garden is exceptionally small, in fact there is barely enough room for a rotary washing line. Good design can make all the difference where space is limited by maximising the potential of every square inch. 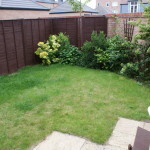 I this instance the garden has been realigned so that the new axis is from the kitchen doors to the opposite corner and by doing so we add valuable length to the view. 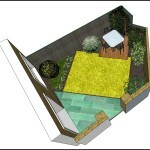 By setting out the lawn, paving and decking at the new angle we are left with mainly triangular planting spaces. 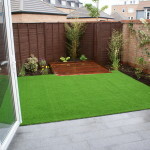 These give us good depth to the planting whilst minimising the space required. 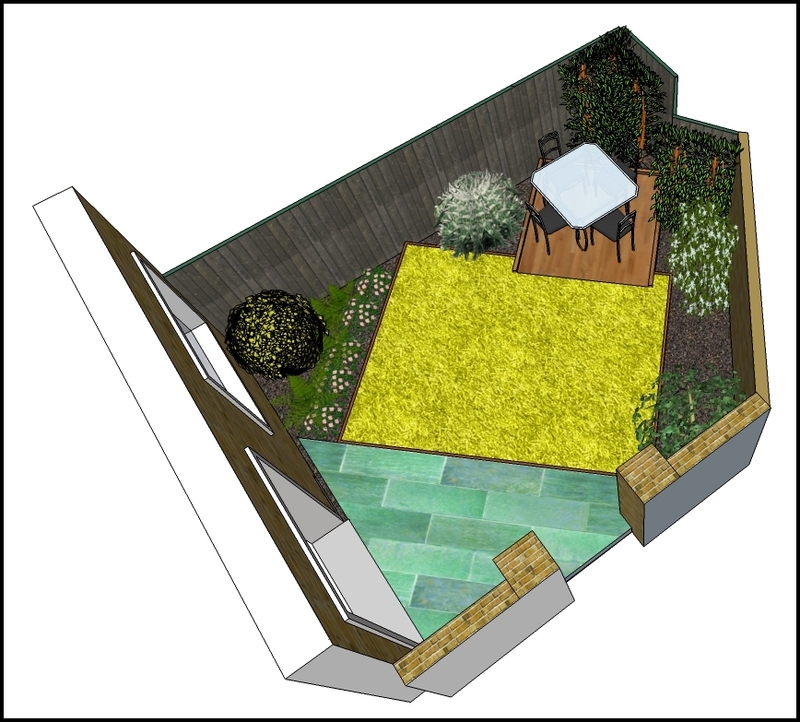 We are now able to incorporate several layers into the planting scheme with taller shrubs to break up the boundary walls and fences and smaller plants to add colour and act as ground cover. 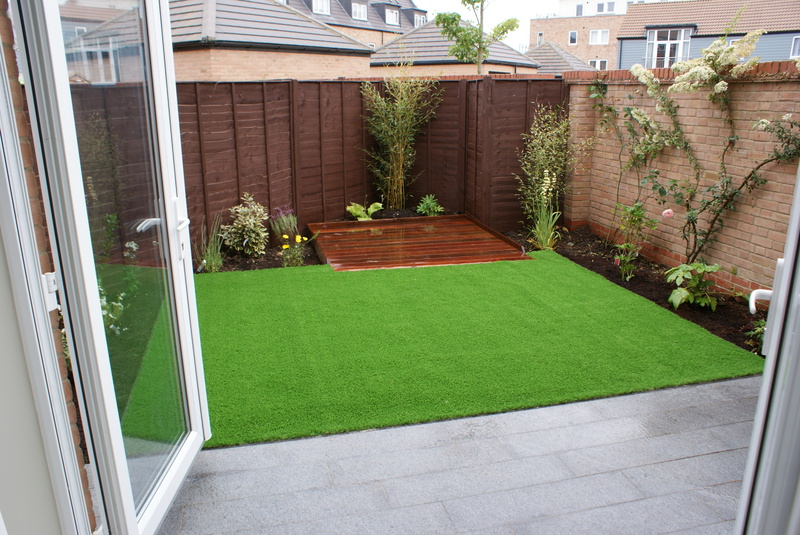 The decking is a hardwood which will stand up to plenty of wear and tear and has been carefully sized to allow room for a small table and four chairs. Because of the liited space a small lip has been created around the edge of the decking to prevent chair legs slipping off and eliminate the subsequent risk of spilt wine.